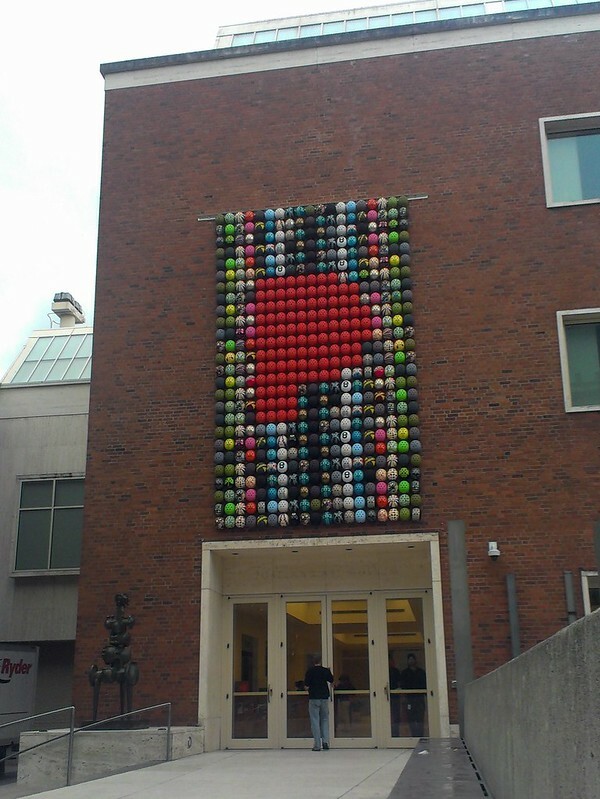 Urban Adventure League: The Obligatory Cyclepedia at Portland Art Museum post. 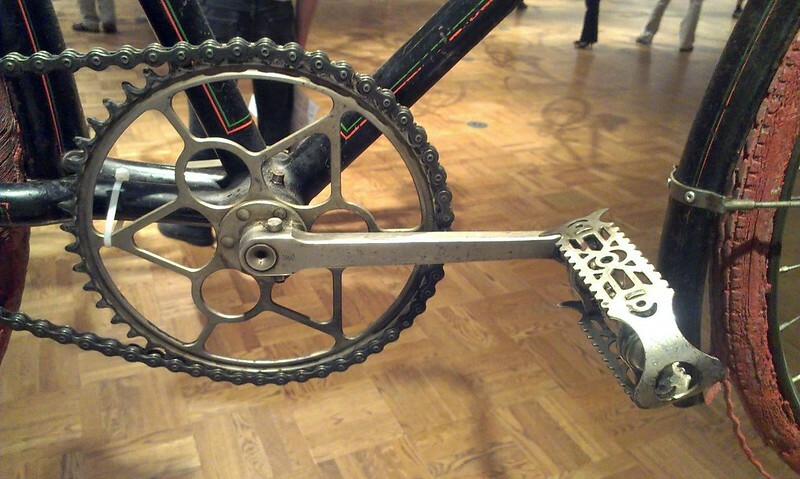 The Obligatory Cyclepedia at Portland Art Museum post. Yep, that's all done with Nutcase helments. 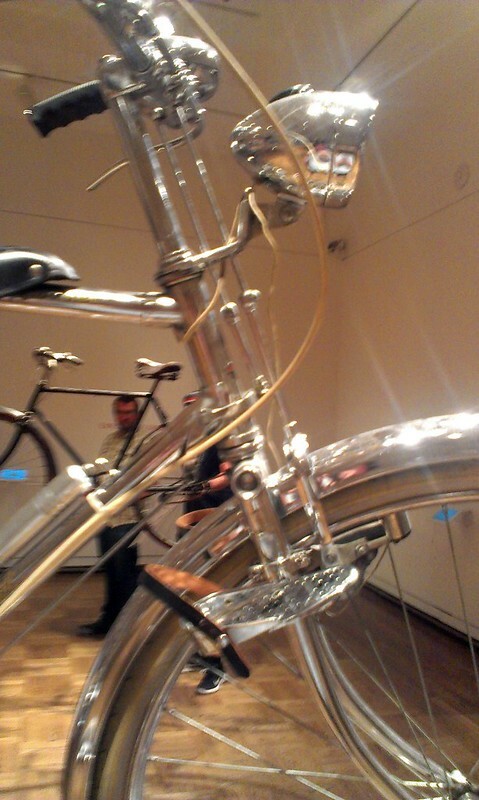 As someone who a) likes bikes and b) lives in Portland, I felt like I was obligated to swing by the Cyclepedia exhibit going on at Portland Art Museum. And I had no excuse not to: I had some free passes for admission since I sort of did some art for them. * Of course, the way I work I forget about going to these things until it’s almost over, as the show closed Sunday. I had Thursday open, and the forecast promised rain, so what better day to go inside and look at bikes? I didn’t take a lot of photos, as the book that goes along with the show will do a much better job than I ever could (and the lighting was lousy) so I didn’t bother bringing the good camera. And to be honest, since the collection emphasizes unique, “curiosity” bikes, there were more crabon-fibre wunderbikes than I really care to look at. So I took a few photos of a couple things that caught my eye. 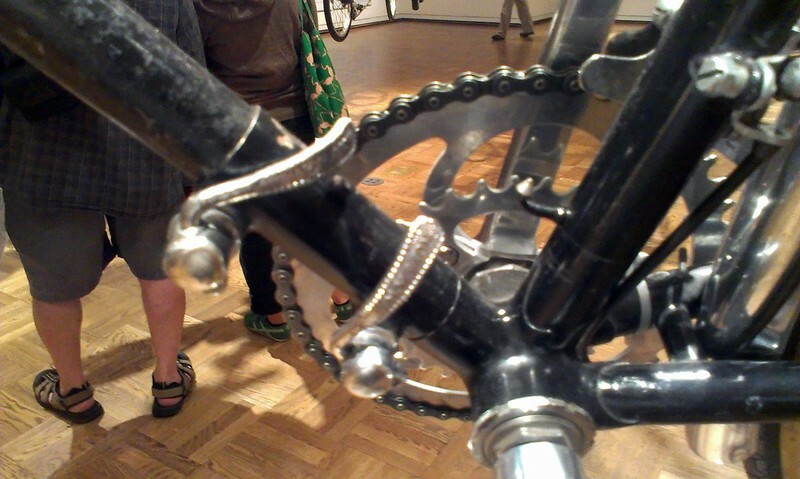 When I walked into the exhibit, I wondered how they made sure people just didn’t turn the cranks on every bike they saw. Easy. Zip ties. This French(?) 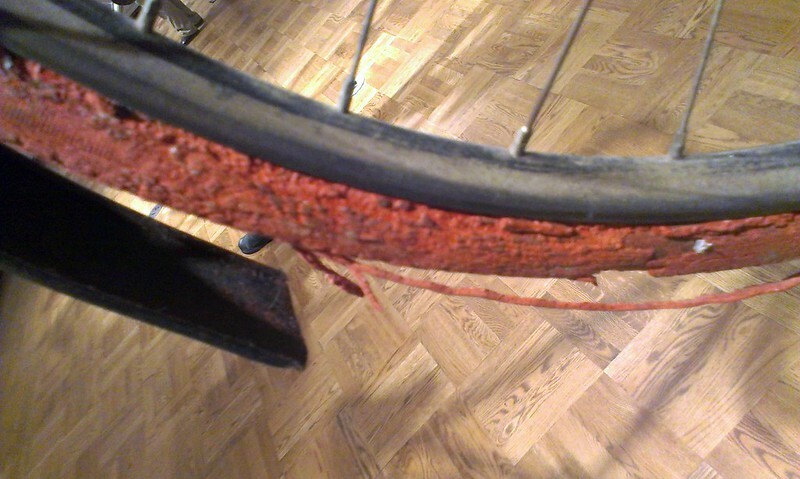 bike from the 20’s had the greatest degree of tire deterioration in the collection. Surprisingly, many of the bikes have had new modern tires mounted to them. This Rene Herse was not only unique because it’s a Rene Herse, but because it’s a pull-apart bike held together by zipties er, quick releases. 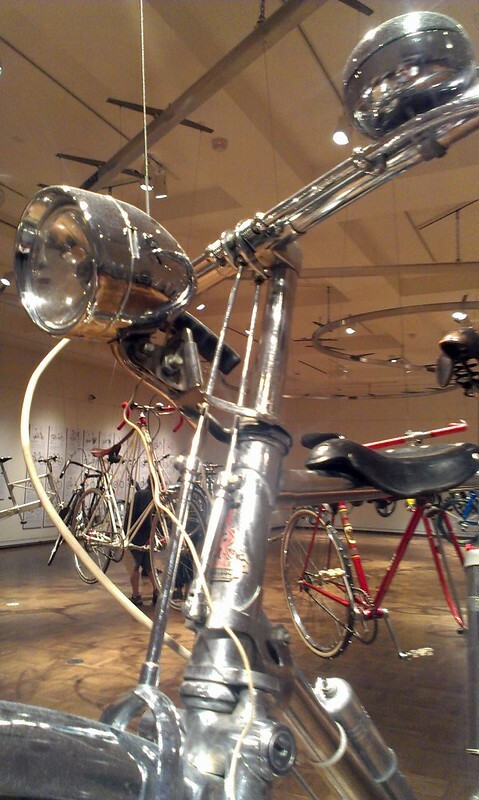 I enjoyed viewing the collection, though it didn’t take that long for me to look through the 30-odd bikes. 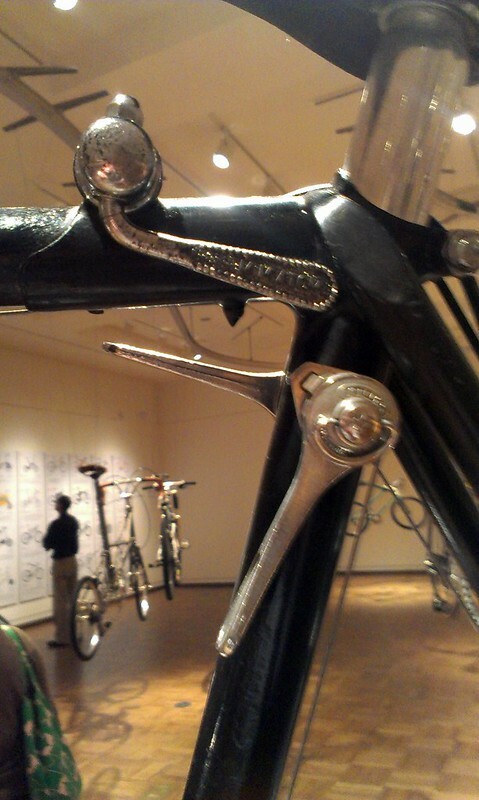 And there isn’t much description given in the museum exhibit, just a couple bullet points for each bike. The book does a much better job conveying info. *I did a poster for a bike tour hosted by Know Your City, which was in conjunction with Portland Art Museum, hence “sort of” doing some art for them. and thanks for the link.I want to go to there!